Weekly Trade Rumors Roundup: Drew, Uehara and Peavy on the move? With the trade deadline looming and the Red Sox 11 games under .500, it's time to consider which members of the Red Sox squad may be out, as well as who they might bring in. And, according to Gordon Edes of ESPN Boston, there could be any one (or more) of several Sox on the move, including their 2 All-Stars, Jon Lester and Koji Uehara. And there's also the future to consider - the Sox are loaded with chips that could help the Sox build for 2015 and beyond. It begs the question, do the Sox try and make moves to go on a tear this year or build a team that could compete for years to come beyond 2014? Starting with Koji, Gordon Edes lists several Sox that haven't been producing up to expectation or could have an impact elsewhere and get something in return. Koji Uehara: Uehara fits more into the latter category. He's been remarkable here, but there are other teams in contention that need a closer. 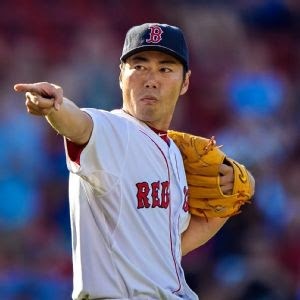 Gordon Edes mentions the LA Angels, San Francisco Giants, and Detroit Tigers as possible suitors if Koji is indeed on the trading block. Jake Peavy: He's been decent in his last 2 starts, but overall, he's been pretty bad this year, with a 1-7 record and 4.64 ERA. And the Cardinals are rumored to be making a strong push for Peavy. A deal could be happening "quick," Jayson Stark is reporting - see the tweet below (we'll keep you posted if something does happen). Stephen Drew: The Sox gave him $10 mil to return to fill the void left by Will Middlebrooks' injury, but he's been a bust offensively. Defensively, he might have some value, but if a team is looking for shortstop who can hit, they'll want to look elsewhere. The Red Sox could trade other veterans as well (Edes listed Jonny Gomes, David Ross, A.J. Pierzynski, and several relievers as other possiblities), or they could look to make a push for another big bat/starting pitcher. Or some combination of the two. The Red Sox have pulled off some great trades in 2004 (they went on a tear after trading Nomar Garciparra), and 2012 (which freed up space used to bring in key players in the 2013 run), so they could do it again. Should they? Leave a comment here or tweet me.